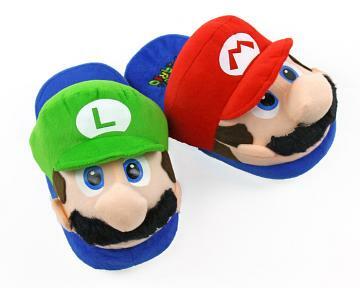 Someone call Mario! 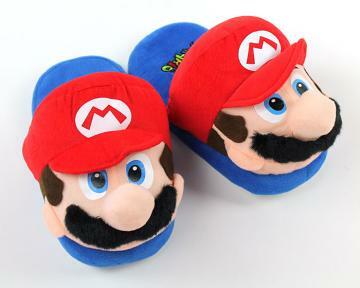 The mushrooms have escaped from Nintendo Land and disguised themselves as footwear! 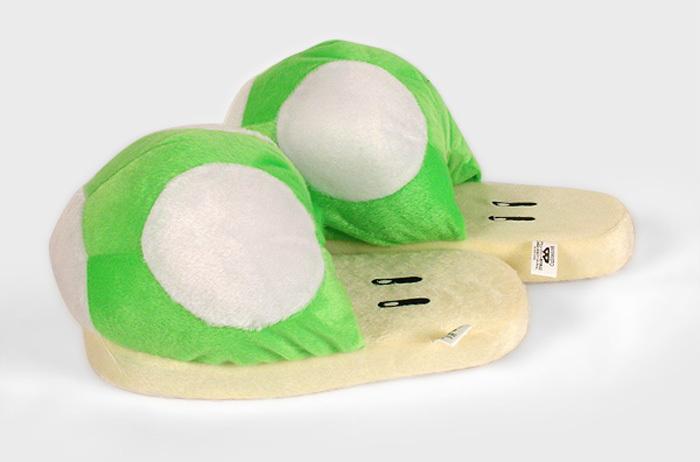 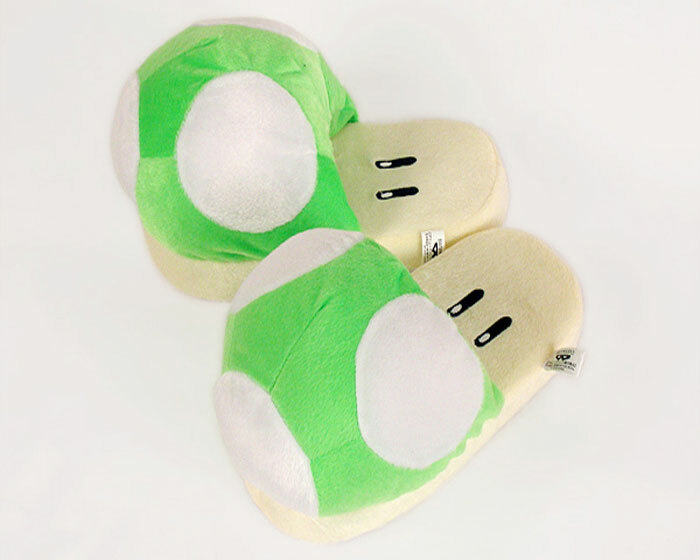 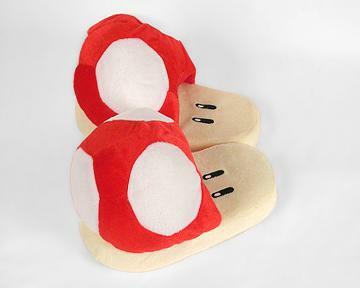 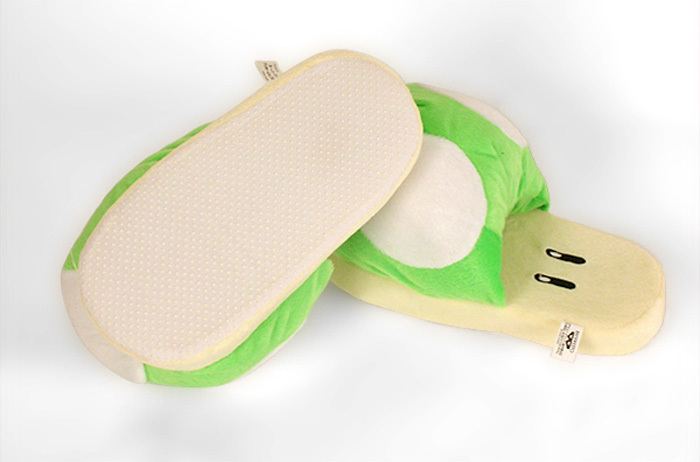 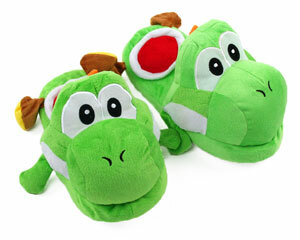 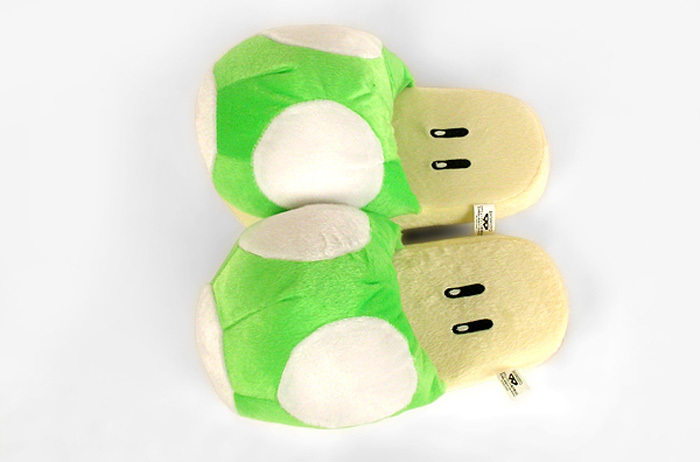 Plush and comfortable, these open-backed Mario Brothers Green Mushroom slippers will put a spring in your step -- Mario style! 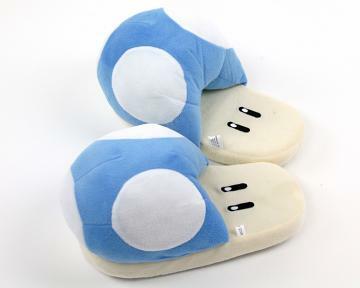 Slip them on, grab a gamepad and let the adventures begin!